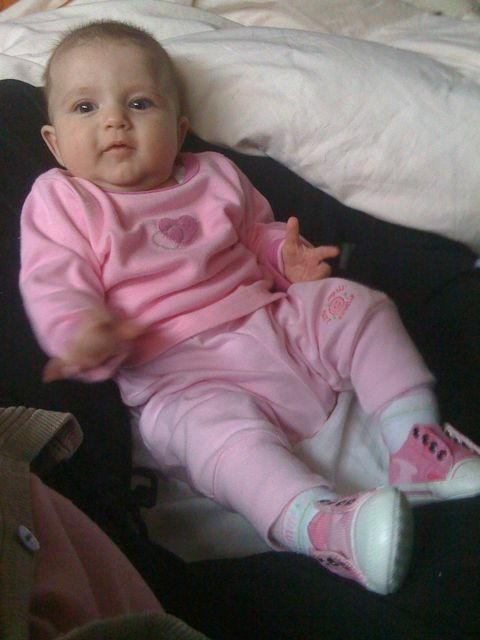 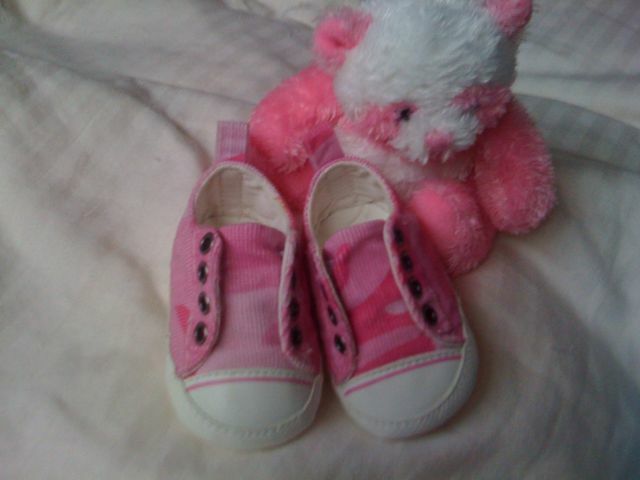 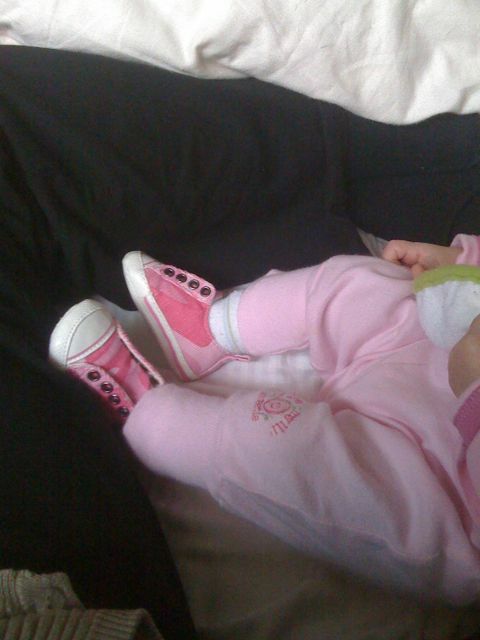 Mommy bought Sofia new shoes. 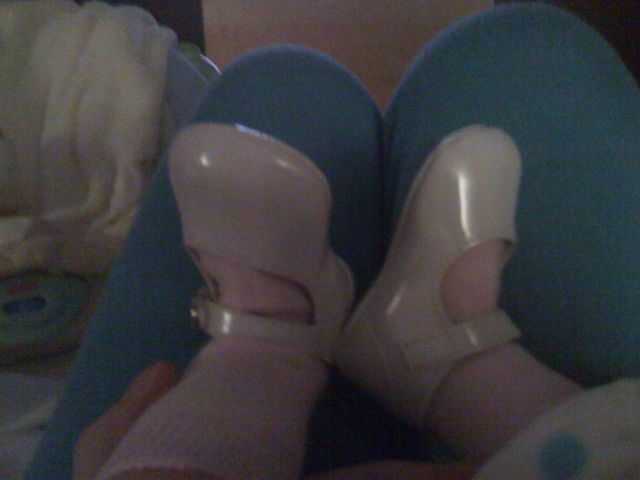 Now that the baby gets to stand up more (thanks to daddy) and uses the jumperoo more, shoes are becoming a necesity. 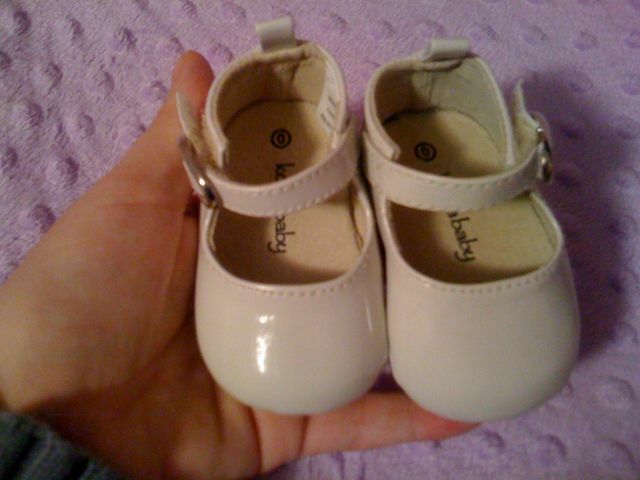 Plus, it doesn’t hurt that they’re so adorable!